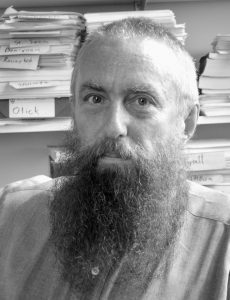 With Doug’s retirement, we are pleased to announce that responsibility for Chicago’s distinguished sociology list will pass to senior editor Elizabeth Branch Dyson on January 1st. Elizabeth joined the Press in 2000 after earning her BA at Yale University and working for three years as a middle-school teacher. She was editorial assistant to David Brent (now retired) and Robert Devens (now at the University of Texas Press), then became a full-time acquisitions editor in 2007, sponsoring our lists in education (including sociology of education), philosophy, and ethnomusicology. Elizabeth will continue to acquire in education and ethnomusicology, with occasional forays into jazz studies. 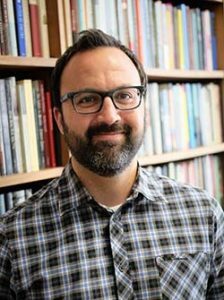 Responsibility for Doug’s list in rhetoric and communication as well as our lists in philosophy and religious studies is passing to Kyle Wagner, who will be promoted to associate editor, effective January 1st. Kyle has been Doug’s close collaborator for the past four years, having begun at the Press as an editorial associate in 2014. Kyle holds a BA from Boston University and an MA from the UChicago Divinity School, where he also completed his course work toward a PhD in the history of Christianity. For the past year, as assistant editor, Kyle has been acquiring in religious studies while also supporting Doug’s acquisitions. Also effective January 1st, editor Priya Nelson will assume responsibility for Chicago’s gender and sexuality studies list. 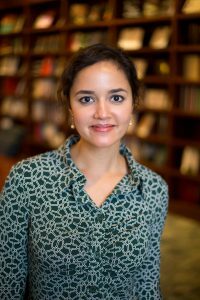 Priya, who joined the Press in 2011 after earning her BA at the University of Chicago and MA in anthropology from the University of Texas at Austin, will continue also to be responsible for the Press’s lists in anthropology and history, including European history, world history, and the history of ideas). 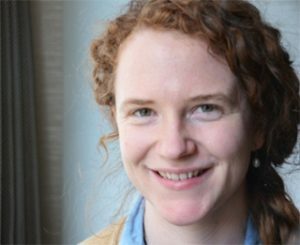 Finally, we are pleased to announce Rachel Kelly Unger’s promotion to associate editor for the life sciences, geography, and cartography, effective December 10th. Rachel will thereby expand our acquisitions efforts in the sciences, collaborating with editor Scott Gast on Chicago’s list in ecology, evolution, animal behavior, marine biology, natural history, and related areas. Rachel, who holds a BA and BM from Oberlin College and Conservatory and an MA from Tufts University, joined the Press in June 2015 as an editorial associate and was promoted to assistant editor earlier this year with responsibility for geography and cartography. We are delighted now to have her among the ranks of our full-time acquisitions editors and poised to enrich Chicago’s distinguished science list.